I remember the fragment of the building for many years! and if you look at the 1st Flickr link from Ian in 2009 I remember Starship Enterprises (I think a Games Arcade) for many years as well. I remember seeing Ella Fitzgerald at the Lewisham theatre (Gaumont or Odeon?) around about 1961/2 but can find no mention of her performance anywhere other than one which says that it was moved to the Trocadero due to a fire. Did anyone else see her sing there? Happy memories of working there as Assistant Manager, in 1969, with Manager Chris Mott. ‘Little Stevie Wonder’ appeared – as did Joe Cocker….whose posters called him ‘Cockle’. A magnificent building! The fragment of the building which was left for some twenty years after demolition (mentioned in main write up) consisted of a vertical line of mosaic tiles. 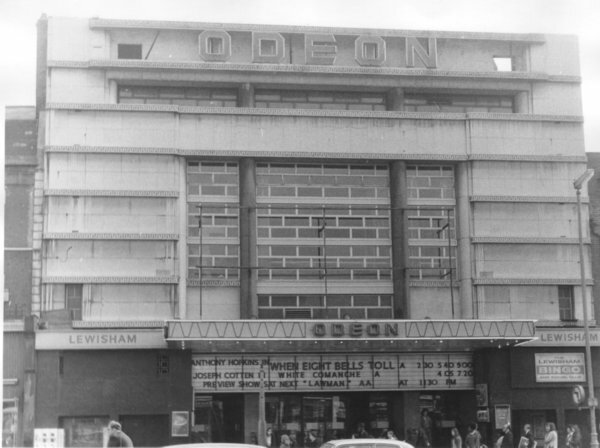 Sadly, this too has now been demolished so no sign of this wonderful cinema remains.